Identify unusual sales movements for your brand and the competitions'. Lay the foundation for understanding. You decide which type of data for you or your competitors is displayed, over what period of time, applying a variety of overlays and event labels. 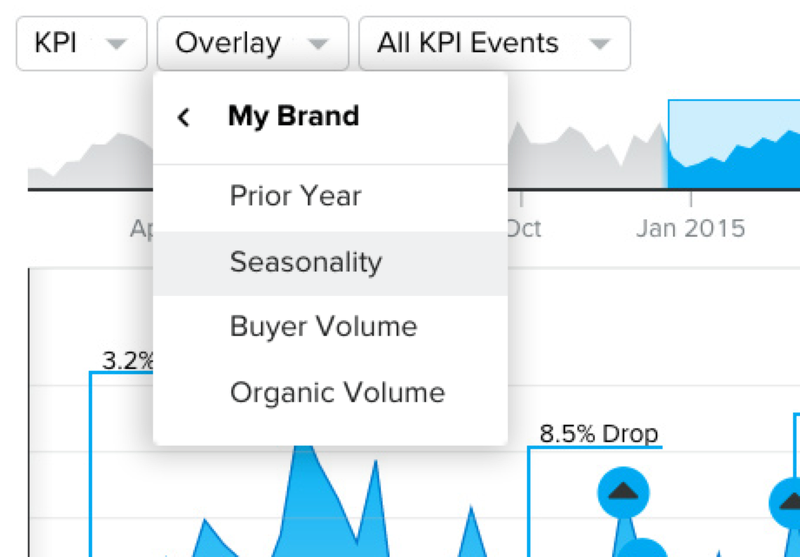 Choose to see KPI, buyer volume, or brand volume for you or any of your competitors. Add a second time series to overlay the base KPI in order to investigate potential correlations. Set your view lens. Adjust the time scroller to focus on any period of time over the past several years of available data. Click on events to extract the signals that help explain it. Highlighted areas focus on the period during which those explanatory events occurred. 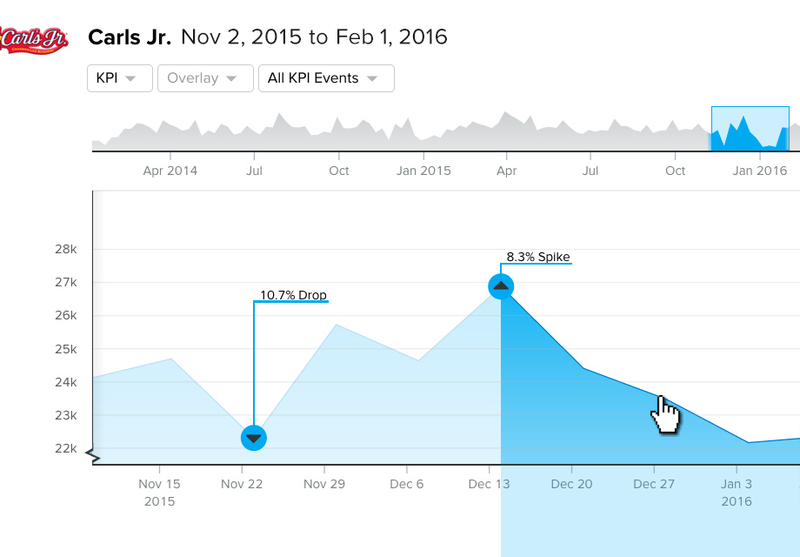 Change spike or trend labels to be more descriptive, shareable, and easier to track later. See the movement in consumer conversation. 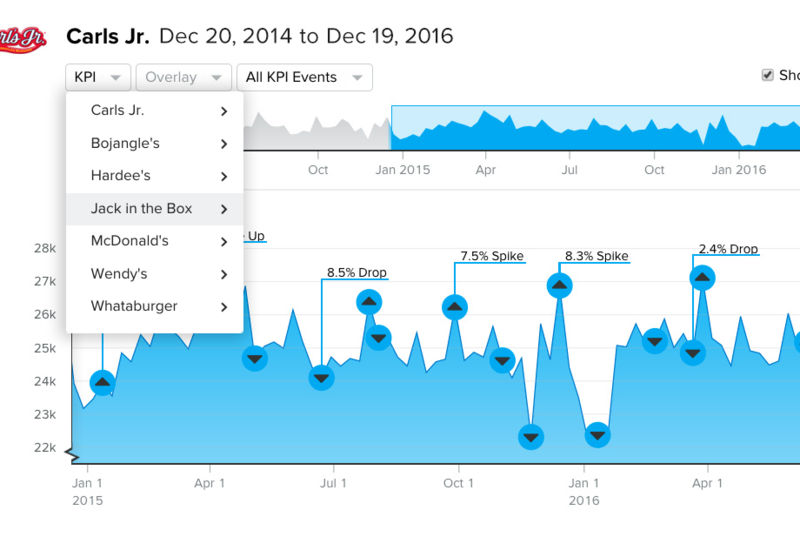 One way to explain a KPI event is to look at how specific consumer conversation (not just anyone chattering about the brand, but the actual buyers) has changed during the selected period. Examine the context of events. 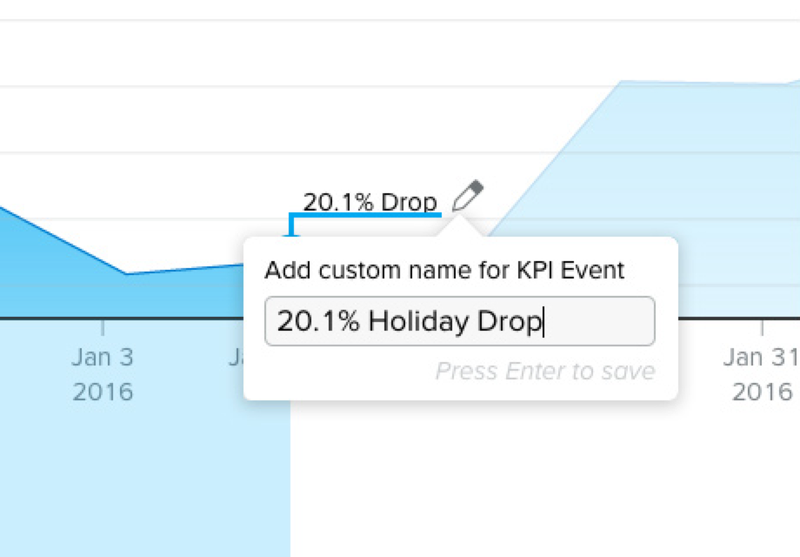 Select a KPI event to highlight everything that was happening during the same time. 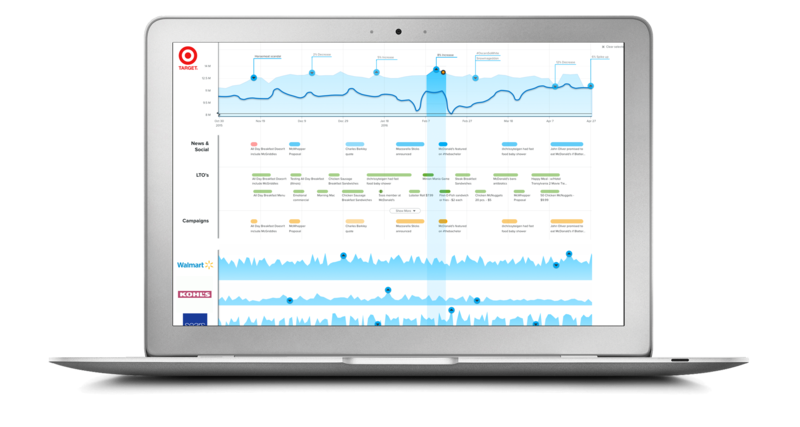 Highlight events in categories like promotions, news, LTOs, TV campaigns, and other first or third-party time-based data.